Police found more alert in Helsinki on Tuesday. Photo Lehtikuva. Finnish police raised security alert following the Monday´s attack at a Christmas market in Berlin and murder of the Russian envoy to Turkey in Ankara. 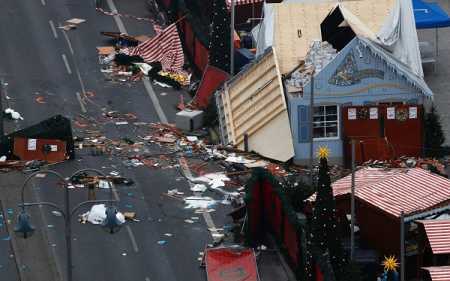 Twelve people were killed when a speeding lorry cut a bloody swath through the packed Berlin Christmas market in Germany late Monday night. 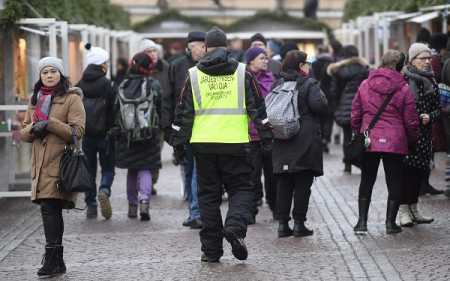 Security measure has been tightened at the important places including embassies and the Helsinki Airport, National Broadcaster Yle reported quoting police. “The police have updated our contingency and operative plans, and stepped up our emergency preparedness levels accordingly,” National Police Commissioner Seppo Kolehmainen told Yle on Tuesday. Earlier, the killing of Russian ambassador to Turkey in Ankara Monday prompted the law enforcing agency to take tight security measures in Helsinki particularly around the Russian and Turkish embassies, said the Yle report. Meanwhile, Prime Minister Juha Sipilä on Tuesday expressed his condolences on behalf of the Finnish Government to Germany’s Federal Chancellor Angela Merkel following the Berlin attack. Finland strongly condemns the attack, said an official press release. “My deepest sympathies go to the families and friends of the victims and to the people of Germany. We stand together in the fight against terrorism,” said the Prime Minister.